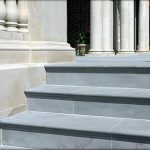 10,000 sq ft of Bluestone on-site, makes Bryam Mason a leading supplier in the whole of the region. 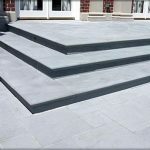 The attractive natural hues of Bluestone and it’s versatility, make it a perfect choice for flagging and paving, and to create outdoor spaces with patios, terraces and pool decks, as well as treads. Can’t find the size to fit your project? 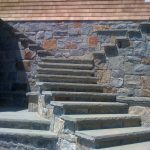 We offer On-Site Custom Fabrication, with orders completed within 1 day! 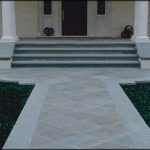 Byram Mason Supply has an on-site custom fabrication shop, which enables us to complete most orders in 1 Day. 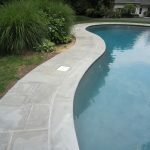 We have thicknesses of 1” to 3” on site and have the ability to order whatever thickness is required. 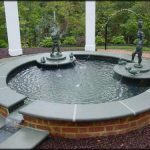 Surface treatments available are thermaled, honed, polished and river-washed. 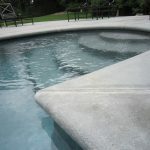 Edge treatments available are thermaled, rock faced, bullnosed and sawn cut. If another treatment is required, please do not hesitate to call. Our Architectural Department can usually accommodate any request.